Tom Clark is president of Clark Consulting, a research and evaluation consulting firm with a focus on online and blended learning. In this role, he has undertaken many successful evaluations for a wide variety of organizations, including a federally funded $9.1 million online professional development project, state-led virtual schools, large district-led online learning programs, and cyber charter schools. He was an advisor for U.S. Department of Education’s Evaluating Online Learning (2008). Recognized as an author in online and distance learning in Who’s Who in America, he has a wide range of publications in the field, including white papers, policy studies, books and articles. 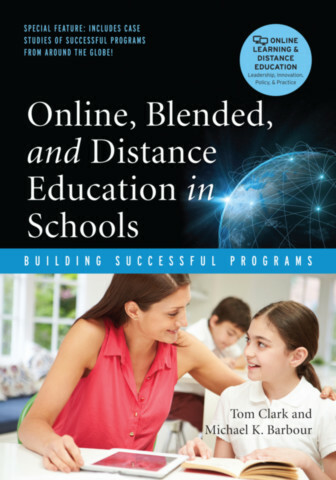 He co-edited Virtual Schools: Planning for Success (Teachers College Press, 2005), authored an early overview of K–12 online learning in the United States, Virtual Schools: Status and Trends (WestEd, 2001), and co-authored one of the first American texts in the field, Distance Education: The Foundations of Effective Practice (Jossey-Bass, 1991).